Work began on the partnership in back in 2013 and the plans for the purpose built Carousel Lounge were integrated in the ship design with construction beginning in 2015. In 2016 the creative process began and the concepts for the two shows were finalised. 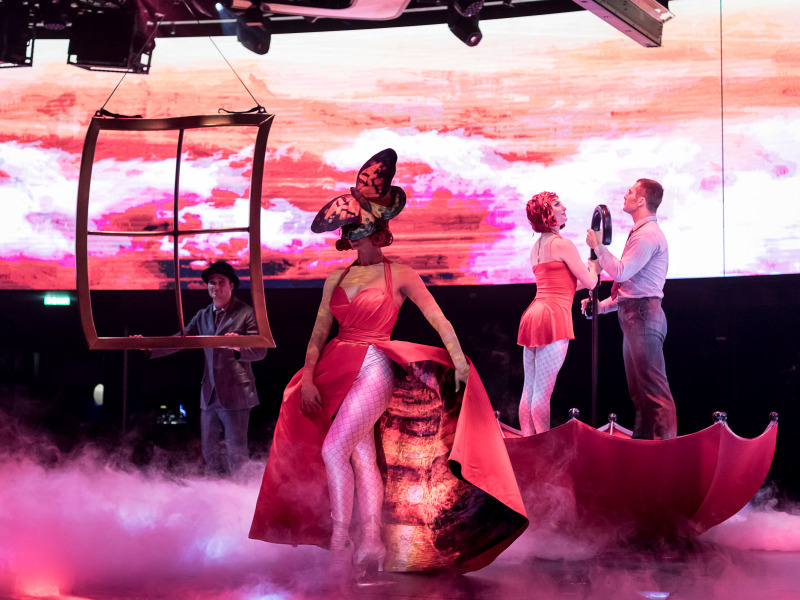 Cirque du Soleil’s 45 DEGREES’ team then recruited the cast and began workshops in Montreal. 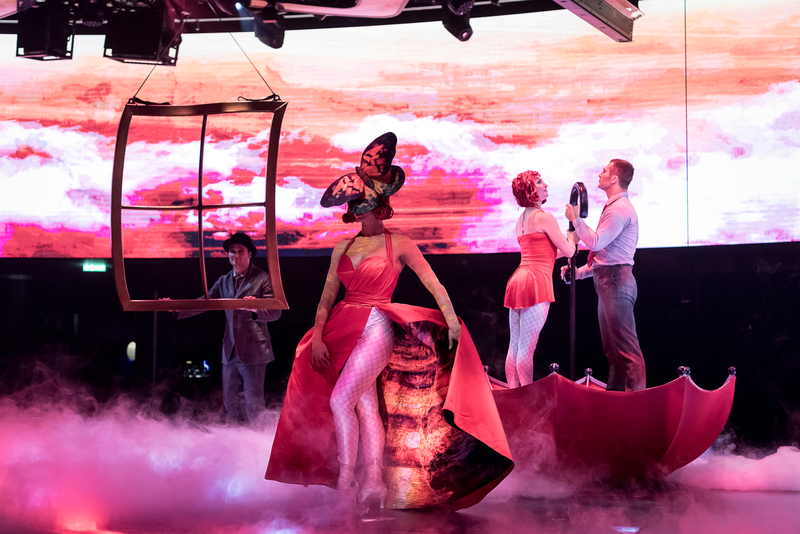 The performers and creative team moved on board whilst the ship was still at the shipyard in St Nazaire to finalise the shows in May earlier this year and rehearsed in the space, putting the finishing touches to the performances. The first show was then performed at the Christening in Le Havre on June 3rd.